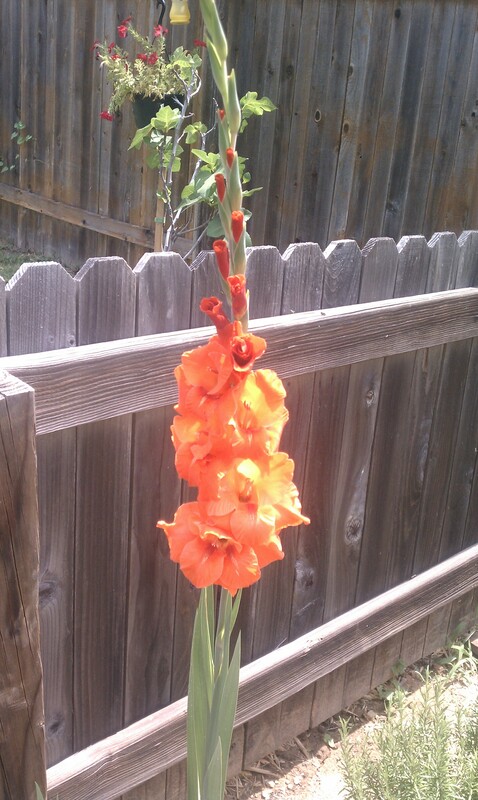 Earlier this spring, we planted about 50 some gladiolus bulbs of multiple colors. 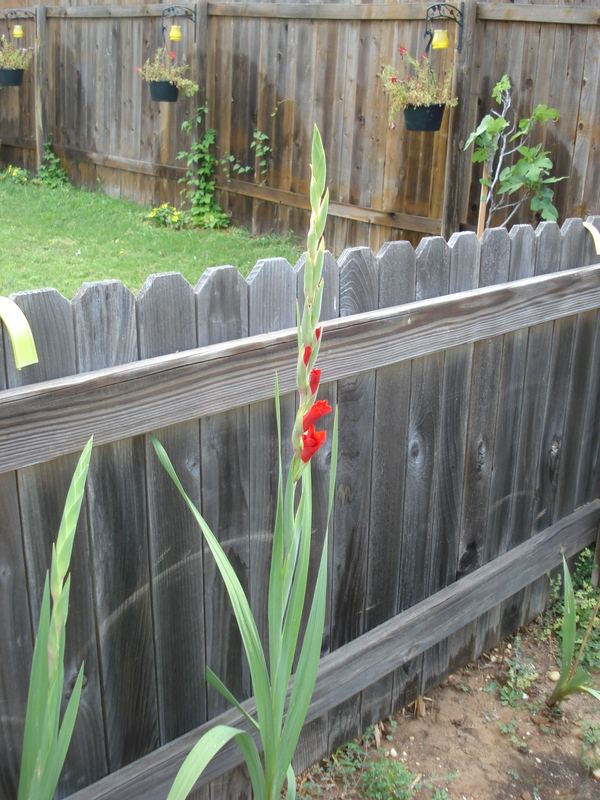 They lined the herb and tomato/pepper gardens, the outline of the vegetable garden fence, as well as a small garden devoted entirely to gladioli. We are now seeing blooms and couldn’t be happier! 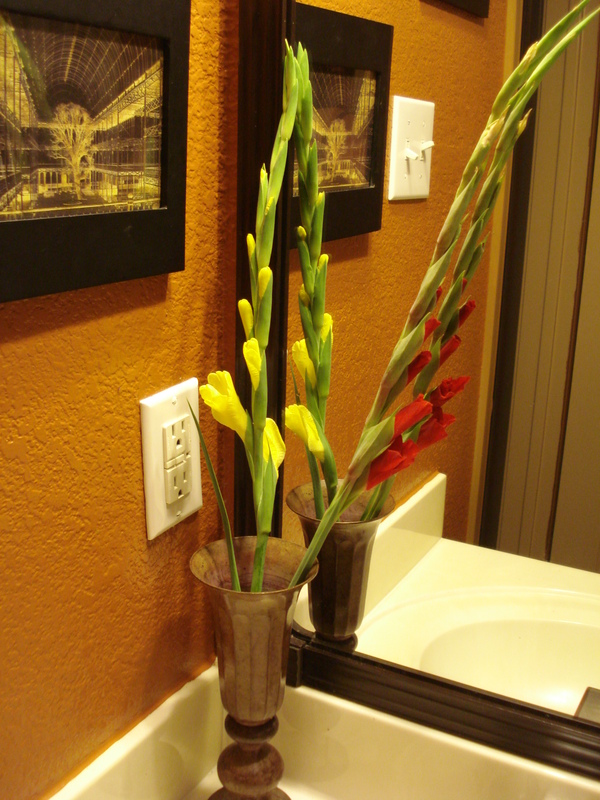 Plus are a great, simple way to bring fresh flowers into the house. 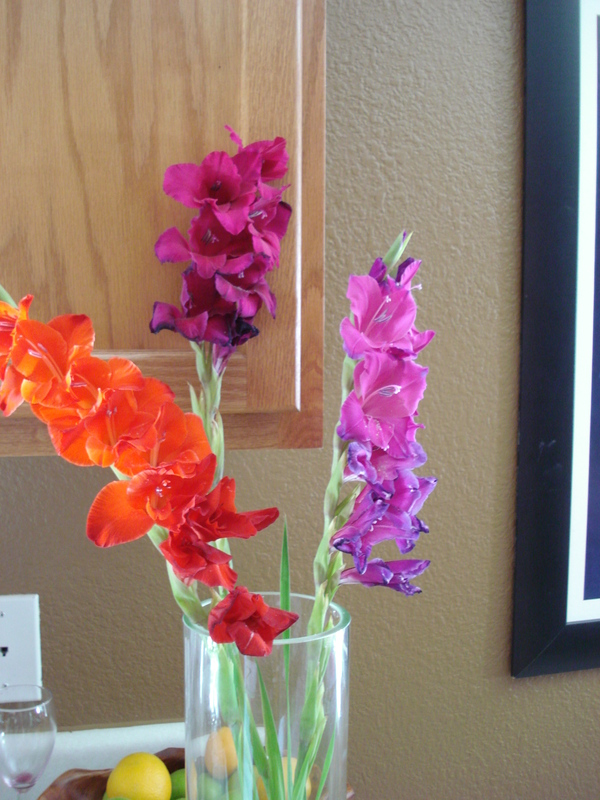 ** When cutting gladiolus from your gardens, make sure to use a sharp knife and immediately put the cutting in lukewarm water. **Cut when there is only a a couple blooms that are opening. The rest will open in time. **Once brought inside, keep in a cool, dark place for an hour or so in the lukewarm water. Then transfer to your individual vase or arrangements. **As the bottom blooms wilt, remove them. This improves the appearance of the stalk. 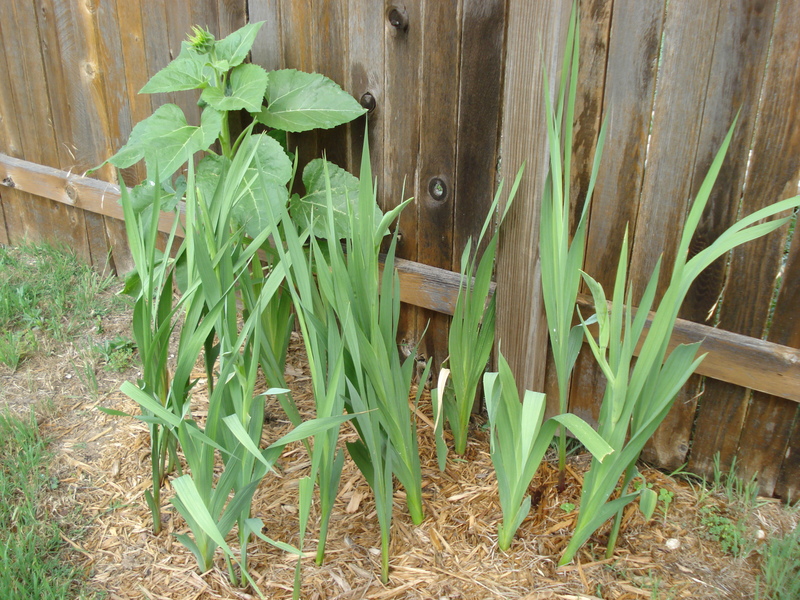 **Change the water frequently (every day or two) and cut an inch off the stalk when you do so the it can absorb more water. Thank you! And it is always so nice to have fresh flowers in the house — especially when they come from your backyard! Honestly, they have been really easy to grow (except for the ones that the bunnies got to in their early stages!) and are low-maintenance. I really recommend them since they not only look good on their own, but they make a great addition to other fresh flowers that you may purchase. I hope that you will find my blog entertaining and informative! Thanks! 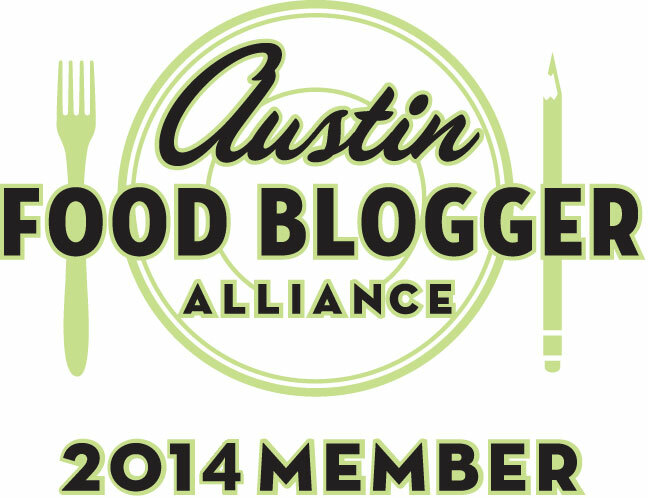 And I look forward to reading more of your blog! 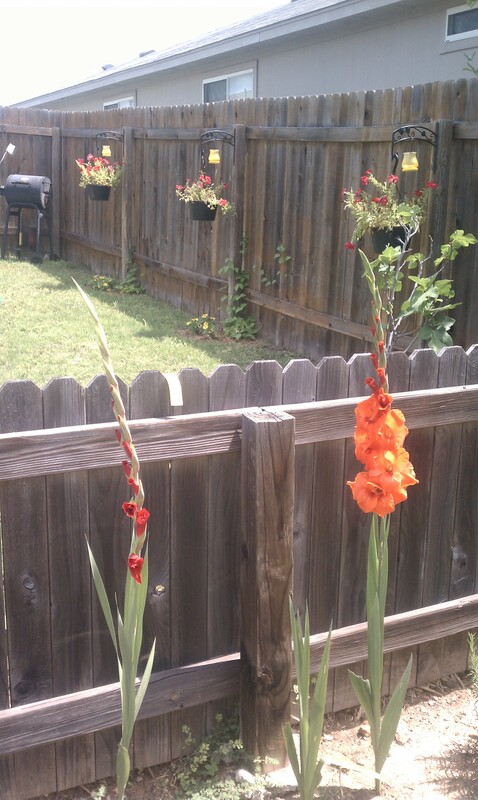 Gladioli have been one of my faves for years! Yours are gorgeous! Thank you!! Love having them since they not only look beautiful in the gardens but make such wonderful cut flowers to brighten up any room of the house! 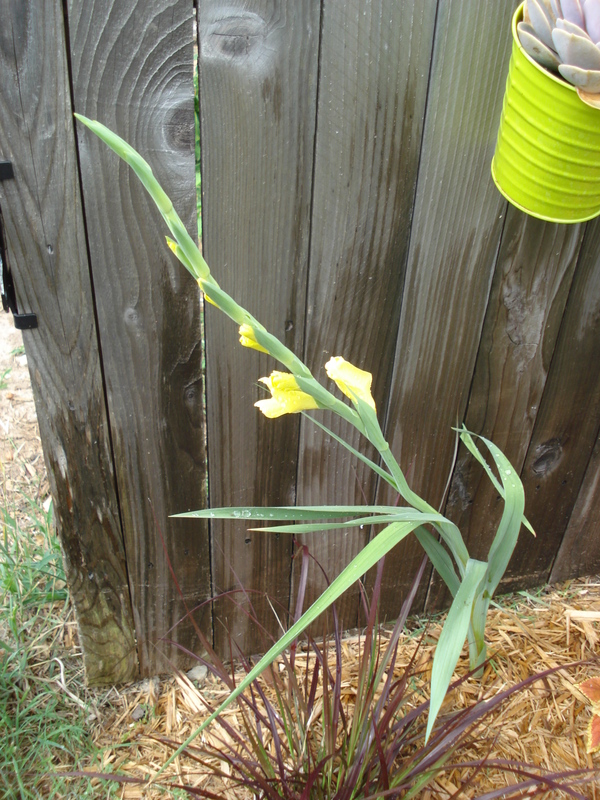 This entry was posted on June 5, 2012 by Jessica Romigh in Gardening, Green Door Adventures, Landscaping and tagged bulbs, floral arrangements, flowers, gardening, gladiolus, gladiolus bulbs, growing, landscaping, plants.